As I’ve stated before, back when doing a review on John Hiatt’s latest release, my wife and I tend to get on our musical kicks. Inspired by a book she gave me for Christmas this year, a catalog of the complete works of the Hipgnosis album covers, it was nearly unavoidable for us not to fall into another Pink Floyd phase again. Couple that with the Wish You Were Here SACD that was also under the tree this year, and the trend was set into motion. About a week after Christmas, I was doing a little shopping online to pick up some goodies for myself. I’ve long been a fan of Pink Floyd’s last release, “The Endless River,” but had never picked it up in the 5.1 Blu-ray format. It was time to remedy that. 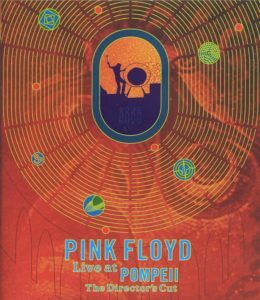 Still not quite satisfied, I went furlongs in the opposite direction and searched out “Live at Pompeii.” Somewhere at home, I knew this sat in a box on VHS, but I wanted to see if this had been released on disc. Sure enough, I found a newer release of it, The Director’s Cut, on DVD from 2003. This seemed worth picking up, especially for less than fifteen bucks (NM, used). People are not always happy when you revise or rework a classic. If you look at the reviews out there, you’ll quickly see what I mean. The purists have cried out in anger over this massaging of the original film with all of the additions and changes, but our reaction was somewhat different. As died-in-the-wool Pink Floyd fans, we were (mostly) pleased. Yes, it’s different, right out of the gate. 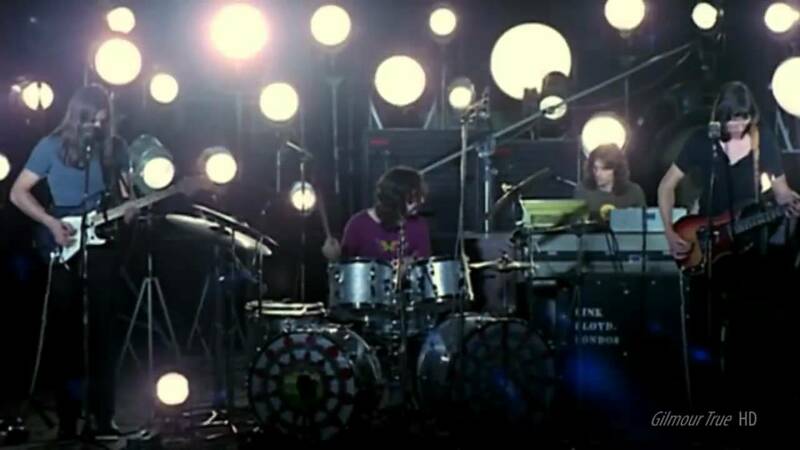 There is shifting between the original film and footage of what seems to be studio footage of the Meddle days during “Echoes, Part I.” It’s partially distracting, partially cool. The new film is in 16:9 format, as opposed to my old VHS copy’s 4:3 ratio, and it looks very nice. The soundtrack is still fantastic and remains in stereo. I found that putting my receiver into an all channel stereo mode (“Ext. Stereo” on the Pioneer Elite) provided a nice effect for the night. 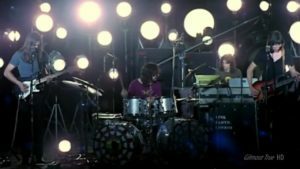 The biggest addition to film is a large amount of footage from the making of Dark Side of the Moon, which highlights the band at a very interesting time in their career. This makes this shift drastically from a concert film to almost a documentary, which I believe is what is really setting the purists off. But, the interviews and candids here are absolute gold and give a rare snapshot into a band that didn’t always share a lot of that. There are moments of them eating breakfast, discussing music, and either answering or cleverly dodging questions. Now, let me interrupt this here to give you a very important bit of information that will make some of you happy, even if you’re a purist. This DVD is chock-full of extras, and includes the original concert film, just as it was in September of 1972, though also in 16:9. 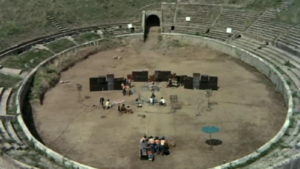 It also includes fascinating history of the city of Pompeii, still photos of the film, interviews, something called “Odds ‘n’ Sods” (which I’ll get to), and just a ton more. There, feeling better? Back to the new footage. 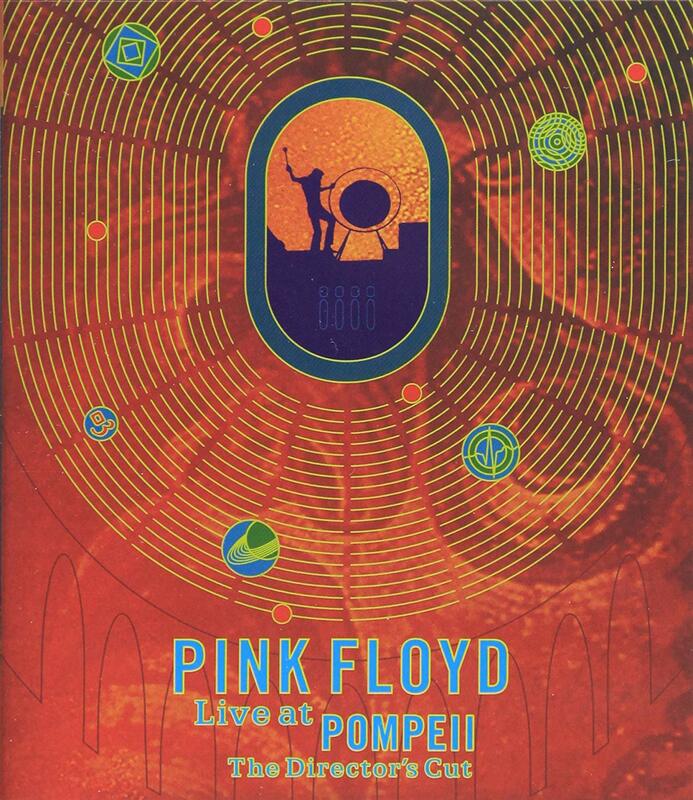 I purchased this DVD so I could see the concert again- but I was blown away by the insight into the personalities at work in the 1972-ish Pink Floyd. I’m torn between wanting to describe it all to you, which would really be my job here as a writer, and encouraging you to pick this up for yourself, which I believe is also my job here. However, I will summarize the young band as wise beyond their years. Yet, the mix of humility of David Gilmour and cockiness of Roger Waters really shows through here. There is a boyishness to Rick Wright, and a playful nature about Nick Mason. They were a year away from releasing one of the biggest records of all time and just had no idea yet, but felt they were on the edge of it. To all the people that feel all of the documentary element gets in the way of the original concert footage, I have to say, I don’t understand, I think this is an amazing film now. Where the Director’s Cut did fall short for us came towards the end of the film, where they added some very garish and cheesy CGI of ancient Pompeii and the interpreted destruction of it. Fortunately, this only went on for a couple minutes. It was terrible. First of all, it was somewhat inaccurate, as the city was not destroyed by nondescript lava flow (as depicted in the CGI), but by falling pumice and ash. In fact, it was hard to tell if it was supposed to be lava or something else, it was done so poorly. My wife and I both interpreted it differently. The CGI really took away from all the other enhancements/improvements in this cut. This will be a good time to go get another beer. It’ll be over soon. Remember the “Odds ‘n’ Sods” I told you about earlier? Yes, that’s fun to look through! It features album covers of bootlegs, press reviews, the previous covers of the movie (including my old VHS copy’s), and some posters. Just fun stuff. By the way, even though they lie on almost opposite ends of the Pink Floyd spectrum, I found a tie-in between my two purchases… well… actually my wife picked up on it first. 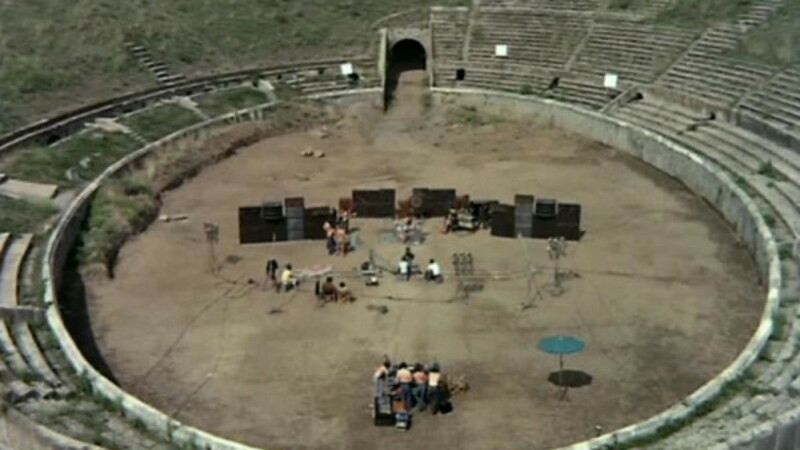 Almost immediately into The Endless River, it is clear to hear an excerpt from one of the interviews that was included in the Director’s Cut of “Live at Pompeii.” We thought it was cool- full circle. In the end, though, the overall experience makes this absolutely worth it for any serious Pink Floyd fan. I’ve watched and compared both versions of the film. Because anything good is worth is worth watching twice, and still come out feeling like the enhancement is fantastic. I’ll see you on the dark side of the moon! Enjoy!